محصول جدید سامسونگ گلکسی اس 4 مینی با صفحه نمایش 4.3 اینچی - پردازنده دوال کور - دوربین 8 مگاپیکسل و اندروید 4.2 (Google’s Android 4.2 Jelly Bean) و قیمت £28.50 پوند (($466 دلار / €357 یورو ) بزودی در هندوستان عرضه خواهد شد. Mobile phone users in India interested in the purchase of the Galaxy S4 mini smartphone from Samsung can now pre-order the device, less than a week after the company officially launched it in the country. The handset can be seen listed over at Flipkart, as well as on Samsung’s own e-store in India, featuring a price tag of Rs. 27,990 ($466 / €357) and a shipping date of July 18, as AndroidOS notes. 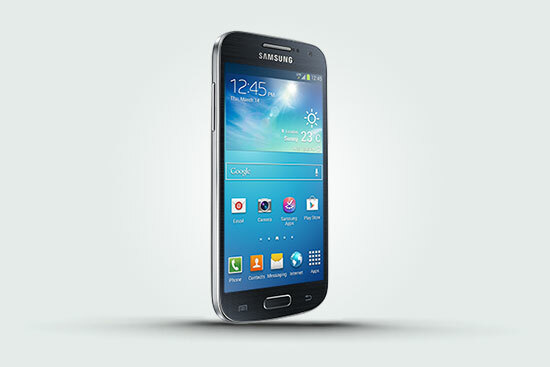 The Galaxy S4 mini was launched with a 4.3-inch Super AMOLED qHD touchscreen display, a 1.7GHz dual-core processor, 1.5GB of RAM, and support for two SIM cards. The handset sports 8GB of internal memory, which can be expanded by up to 64GB of external storage space, courtesy of a built-in microSD memory card slot. Furthermore, the new smartphone packs an 8-megapixel photo snapper on the back, along with a 1.9MP front camera and a 1900 mAh battery inside, while running under Google’s Android 4.2.2 Jelly Bean operating system.